"It's double the giggles and double the grins, and double the trouble if you're blessed with twins"
Michelle and her husband have their hands full with their two beautiful twin daughters! 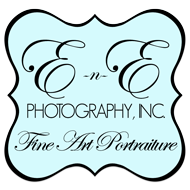 Having recently moved to the Red Mill area of Virginia Beach, last fall, they took a take a break from their hectic lives and spent a perfect day having fun at the beach and letting award-winning master photographer, Erin Clark from E-n-E Photography capture them! Erin has no problem photographing families with toddlers and pets together - she has been known to say, "It only takes a split second!" As you can see from the photos, having the opportunity to photograph such a beautiful family with two very active toddlers is a challenge gladly accepted by E-n-E Photography - They have these wonderful memories of their first year in Virginia Beach and will treasure them forever.